I can't believe this is my first post of 2014 you guys, where has January gone?! I really wanted to do a little update post, for you all, as I haven't been the best at blogging over the past month or so, and for that I'm very sorry! As most of you know, Im usually a very regular blogger, but I have good reason for my absence, I promise! Things have been pretty hectic with work in iClothing recently, I'm busy working on some exciting new projects for 2014 with my team, as well as keeping up my regular shoots and styling work. I also have a few personal projects I've been working away on recently that have been taking up a lot of my free time, hence the lack of blog-posts. Now, I know it must be annoying to hear me allude to various projects without sharing any details, but unfortunately I have to keep some of them under wraps until they are finished. You can rest assured that I really cannot wait to share them with you all, and as soon as they're launched, you'll be the first to know! One of the projects that I can share details of with you however, is that I have been working on is a complete re-design of WildChild Stories. I have been spending the last few months working on a new website, and thankfully, its very nearly finished and I am so excited for the big reveal. I has taken a lot of planning and work (not to mention hours upon hours chained to my laptop) but I am so happy with how its turning out so far, and here's hoping I can finish it soon! The second update that I wanted to share with you all is that I am finally going to start my iClothing blog series, which I have promised to so many of you. After MUCH deliberation, I have decided to call it "The Career Diaries" which will be an ongoing series on my blog a where I can share details of my stylist work with iClothing, and any other (non-blogging related) fashion and broadcasting projects that I'm involved in. Before I begin this series however, I just want to clarify that I am no expert in this area, as a matter of fact I am exactly the opposite, I'm just a girl who decided to go for it, and somehow managed to land a great job in the industry, and I'm pretty much figuring it all out as I go. The aim of this blog-series is to give you guys a real inside look at a newbie like myself's journey into the fashion industry, details of projects Im working on, challenges Im facing, and most importantly tips and tricks I'm learning along the way. It's basically going to be an honest account of my journey. Successes, failures, and everything in between! 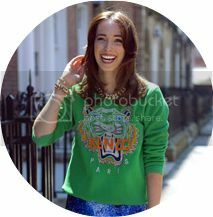 Throughout my years blogging, I have received many emails and messages from readers asking for advice and information on working in the Irish fashion Industry, whether it's advice about various internships and courses, or questions about how I got my job in iClothing, or how exactly I made it to this where I am now. I always try my best to give to everyone with honest, informative answers, but I can be difficult replying to people separately, so this Career Diaries Series is for you guys! Again, I have to stress, I am NOT claiming to be an expert in my field, nor am I claiming to have the best, most wonderfully fabulous job in the world, because we all know that working in the fashion industry is hard work, and It's no walk in the park. 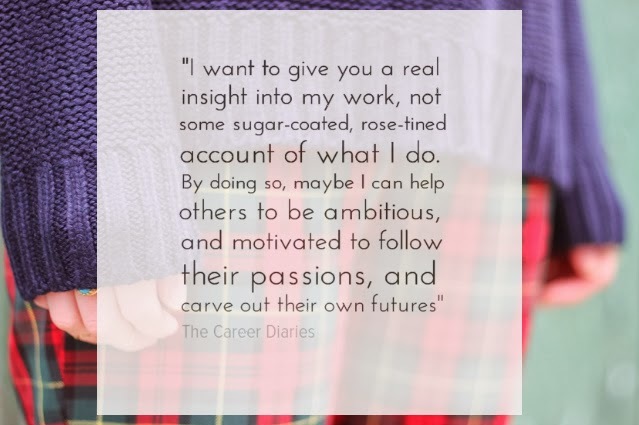 With "The Career Diaries" I want to give you a real insight into my work, not a sugar-coated, rose-tinted account of what I do. By doing that, maybe I can help others to be ambitious, and motivated to follow their passions and carve out their own futures. So, now that I've explained myself, I can get started with the series! I hope you enjoyed this little update post, and that you will be as interested in reading this new series as I am in writing it.